Free downloads are only free for non-profit projects. Production credit must be given to "General Beats" in any case. If you'd like to use the beat for profit, you must purchase the leasing/exclusive rights. Please contact generalbeatss@hotmail.com for further questions. - Delivered instantly via the download button. One commercial/profitable use. Distribution limit: 2,000 copies. Use for ITunes, Mixtapes, Albums, CD, Live Performances, etc. Please contact generalbeatss@hotmail.com for further questions. - Delivered via email within 48 hours of receiving payment. Unlimited commercial/profitable use. Distribution limit: Unlimited. Use for ITunes, Mixtapes, Albums, CD, Live Performances, etc. 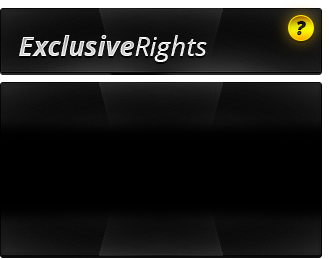 Exclusive rights contract is included and is signed by both parties. For pricing contact generalbeatss@hotmail.com. - Delivered via email within 24 hours of receiving payment.